How do you approach the Lord’s table when your heart is uncertain of it’s spiritual condition? If you question the errors of our heart, as David did in Psalm 19 (“Who can discern his errors?”), what will compel you to confidently take the Lord’s Supper? Will you withdraw from the bread and the cup when sin plague’s your soul? Or might the Lord’s Supper be an appointed means of reconciliation via remembrance? These are not hypothetical questions, but realities Christians face as we commune with a holy God. Paul warned that anyone who takes the Lord’s Supper in an unworthy manner “drinks judgment on himself” (1 Corinthians 11:29). Therefore, he calls us to “examine” ourselves and “then . . . eat of the bread and drink of the cup” (v. 28). But how do we do that? If our hearts are deceitful (Jeremiah 17:9) and lead us to evil and idolatry (see Jeremiah 3:17; 13:10; 18:12) how shall we be able to examine ourselves? Thankfully, as with all aspects of salvation, God provides what he demands, and the answer comes in the working of God’s Word and God’s Spirit. By means of God’s Word, the Holy Spirit enables God’s children to rightly examine themselves and to come to the Table with fresh faith and repentance. Indeed, consider three ways the Holy Spirit uses the Word of God to prepare you for the Lord’s Table. Or to put it the other way, here are three ways you should, by the Spirit, prepare your heart for communion with the Word of God. First, the Spirit opens our eyes to loathe our sins. As children born of God read the Scriptures, the Spirit stirs our affections to hate the sin we find resident within us. At the same time, he gives power to confess, crucify, and turn away from sin. In fact, in speaking of the new covenant, which we celebrate at the Lord’s Table, Ezekiel 36:31 says, “Then you will remember your evil ways, and your deeds that were not good, and you will loathe yourselves for your iniquities and your abominations.” As odd-sounding as this verse may be, part of God’s sanctifying work is to make us “loathe ourselves” for the sin in us. While the world tells us we are good people who must put away any negative noise, Scripture would remind us of our indwelling sin and our need for grace (see Ephesians 2:1–7). While God’s Spirit never leaves us in a state of self-condemnation (Romans 8:1), he does produce in us godly sorrow (2 Corinthians 7:9) and the sanctified ability to grieve over sin (Zechariah 12:10). As Jesus says in John 16:8, the Spirit convicts us of sin, righteousness, and judgment. Therefore, the place we begin as we approach the Lord’s Table is in prayer for the Spirit to expose our sin as we read his Word. 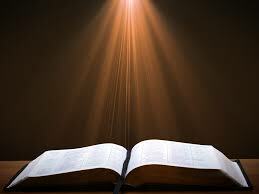 Second, the Spirit inspired the Scriptures to give us spiritual illumination. As 2 Peter 1:19–21 says, the Holy Spirit empowered the prophets (and by extension the apostles) to write inspired words—better “expired” words, Words breathed out by God (2 Timothy 3:16). Instead of leaving men to find God themselves or fabricate feelings sorrow for sin with dull hearts, these living words present God’s holiness and our sinfulness. The Spirit uses his inspired Word like a surgeon’s scalpel to pull apart our thoughts and intentions (Hebrews 4:12). With his Word, he shows us our corruptions and prepares the soil of our heart for the waters of his grace. Indeed, because the Holy Spirit is a “speaking God” who bears witness about Christ (John 15:26; 16:13–14), he doesn’t merely produce emotions in us. Rather, he illumines our minds and burdens our consciences with the Word he inspired. He transforms us through the Scriptures and never apart from his Word. In this way, any approach to the Lord’s Table requires Bible-reading and prayerful meditation that leads back to the gospel of Jesus Christ. Third, God’s Word calls us to confess sin with fresh confidence in the Lord’s death and resurrection. First John 1:9 tells us that if you confess your sins to God (i.e., if you humbly ask him for forgiveness), he is faithful and just to forgive your sins and cleanse you of all unrighteousness. The attributes of God’s faithfulness and justice point to the cross. God is not merely merciful to sinners at the cross, he is just. As Romans 3:26 says, “God is just and the justifier.” This is his righteous mercy, which the whole of Scripture points us to. When the Spirit convicts us of sin and leads us to “loathe ourselves,” it is for the purpose that God’s gracious promises would overcome our sense of guilt. What Yahweh promised long ago, that he would repay double blessings for all Israel’s sins (Isaiah 40:1), God has recommitted in the New Testament: “Where sin has increased, grace has abounded all the more” (Romans 4:20) and “Mercy triumphs over judgment” (James 2:13). Indeed, even in the passage which speaks of confessing sin (1 John 1:9), the beloved apostle reminds us that pardon depends not on our perfection but on Christ’s propitiation (see 1 John 2:2). In all these ways, Scripture is the Spirit’s means of comforting the sin-weary soul. In preparing ourselves for the Lord’s Table, therefore, God’s Word is absolutely essential. For as our hearts condemn us—rightly and wrongly—God is greater than our hearts (1 John 3:20). It is his Word that the Spirit uses to impress on us gospel grace and the Father’s favor, which in turn prepare us for the Lord’s Table. There is no sweeter time of fellowship for God’s people than at the Lord’s Table. In this ordinance, the spoken word of Christ becomes visible and edible. And to eat and drink the Lord’s meal requires that our hearts be ready. Thankfully, we do not have to produce this readiness by ourselves. God has given us all we need in his Word and his Spirit. If you are in Christ, whatever he reveals has already been covered by Christ’s blood. Rejoice in that fact! Taste and see the goodness of the gospel as you come to the Lord’s Table this Sunday.